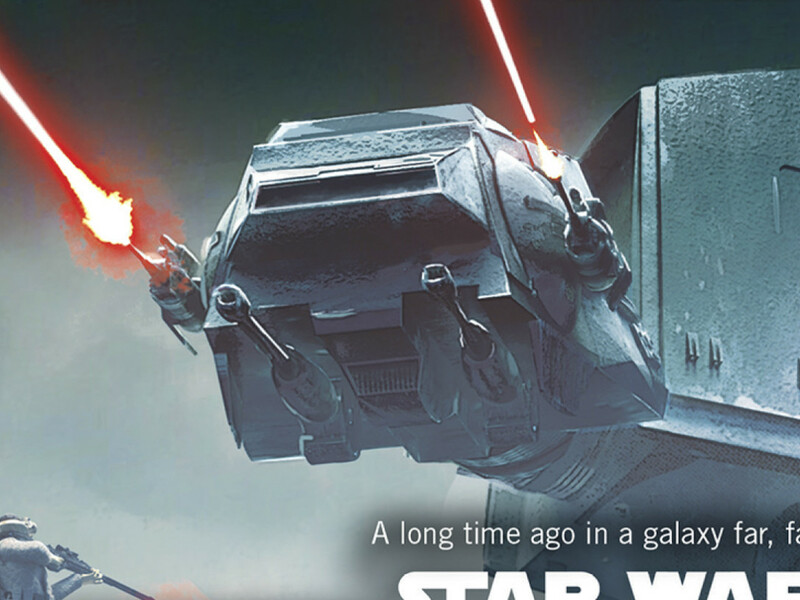 In Star Wars Battlefront: Twilight Company, Darth Vader Strikes – Exclusive Excerpt! The Emperor's enforcer arrives on Hoth -- and he's not happy. 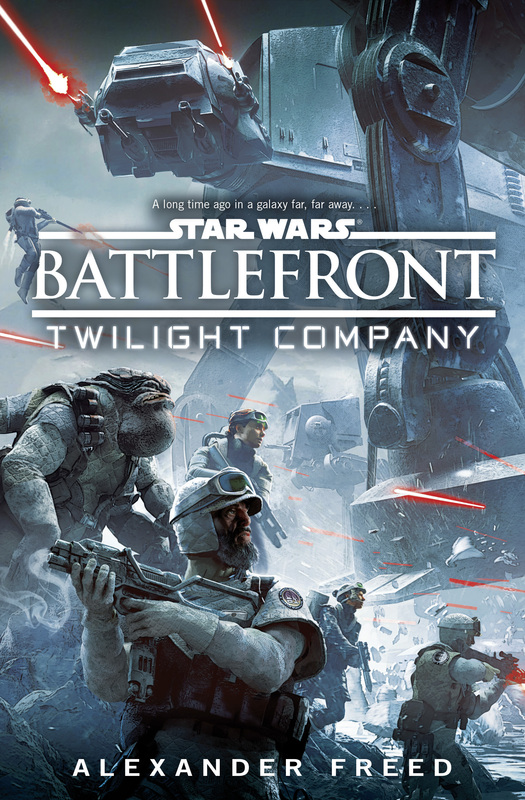 In Star Wars Battlefront: Twilight Company by Alexander Freed, a novel based on the upcoming video game Star Wars: Battlefront and available now, a group of Rebel soldiers known as the Twilight Company take on the forces of the Galactic Empire. 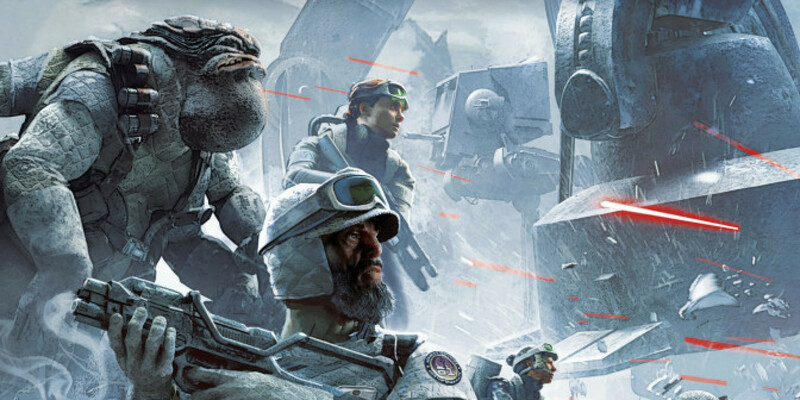 The excerpt below retells the Battle of Hoth through the eyes of Hazram Namir and the rest of his infantry — who come face to face with Darth Vader after the destruction of the Rebels’ energy shield. Beak and Namir fired in unison, hefting their rifles and sending red streaks down the corridor toward the gleaming figures in white and black. Roja joined the assault barely a second later; he was behind Namir, but Namir could hear his swift, ragged breathing and his boots shuffling on snow. One stormtrooper fell. The others were parting almost before Namir had fired, scattering to the sides of the corridor and taking cover behind mounds of stone and ice and metal support beams. Darth Vader stood untouched in the center of the passageway. The black-clad figure resembled the bust from the Haidoral gover­nor’s mansion in the arc of his helmet and the mad angles of the polished mask. But the bust hadn’t conveyed his height or the amor­phous billow of his cloak. Red and green lights winked from the chest piece of his armor, making him resemble something built rather than born. Yet he moved like a man: There was flesh beneath the armor, and flesh could be made to burn. The stormtroopers moved with the surety of professional soldiers, returning fire as soon as they’d exited the kill zone. Namir ordered his own team to cover and dived behind a curtain of dangling, broken piping and a massive block of ice. He was shooting again before he’d checked the status of Beak or Roja or Chalis. Or Howl. But the cap­tain, dead or alive, couldn’t be Namir’s priority. 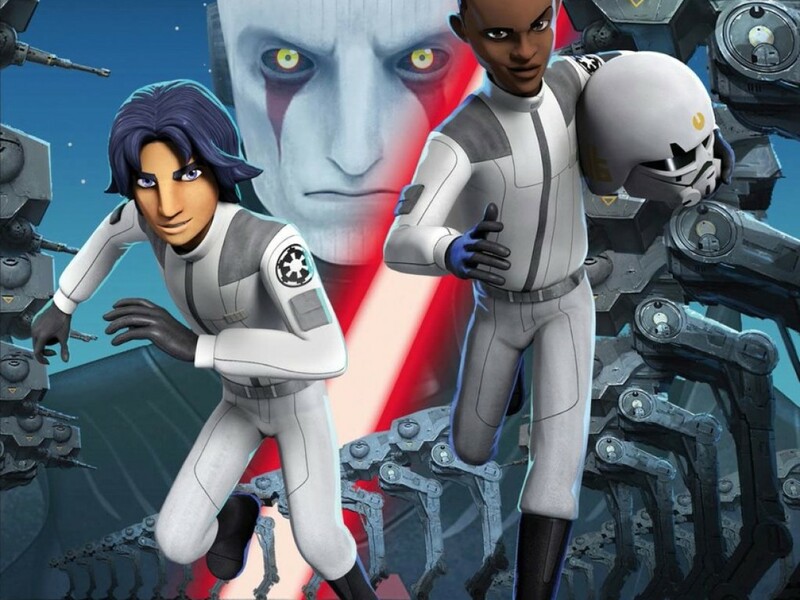 The stormtroopers began to advance, dashing across the space of the passageway two at a time while the rest of their squad kept Namir and the others pinned. One took a bolt in the stomach, though Namir couldn’t guess who made the kill. He managed to spare a glance to one side and saw that Beak had ended up opposite him, while Roja, Cha­lis, and Howl were huddled together a short distance to his rear. He looked back to the corridor. The figure in black raised a hand as a crimson bolt flashed toward him. The bolt hit his hand and bounced off like a tossed pebble, striking the corridor wall and sending flakes of ice crumbling to the floor. He’d never seen one built into armor before. Yet force fields could be broken. The stormtroopers halted their advance long enough for Darth Vader to claim the vanguard, taking long, unhurried strides like an Imperial walker disdainful of the stings of rebel snowspeeders. He made no effort to find shelter. He held no weapon Namir could see. In the back of his brain, a voice told Namir that Vader wasn’t a threat—he was a bogeyman, built and dressed to intimidate instead of fight—yet the front of his mind screamed not to let the armored figure close in. The stormtroopers were advancing again behind Vader. Turning and retreating would leave Namir and the others exposed; pushing forward would kill them even faster. Beak’s plan was their best chance. Namir swung his rifle toward Vader and pulled the trigger, holding it down and gripping the weapon’s barrel with his free hand. The rifle tried to leap with every shot and the barrel grew hot against his gloved fingers. Between the dimness of the corridor and the red bursts before his eyes, Namir could barely make out his target. Beak was shooting, too—Namir could hear the sound of energized particles scorching cold air across the hall, but he didn’t dare look. Vader didn’t hesitate or fall. Instead, something appeared in his hand between the pulses of crimson light and suddenly he was holding a weapon, a blade of coherent energy that danced with a twist of his wrist. 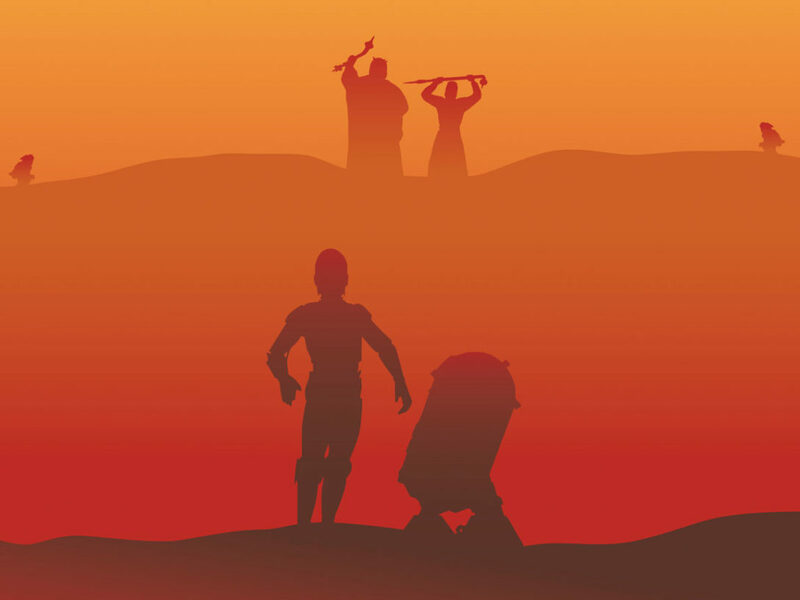 If Vader had been protected by a force field, it appeared no lon­ger necessary: His energy blade deflected bolts impossibly swiftly, humming and buzzing and crackling as it swept aside a storm of fire. The temperature monitor on Namir’s rifle blinked as the power pack began to overheat. He squeezed the trigger harder and the weapon flashed a dozen more times before shutting down with a me­chanical click. The stream of bolts from Beak cut off an instant later. Vader had advanced a dozen meters during the attack. Time seemed to stop as Namir saw a single snowflake, carried down the length of the corridor in the breeze, loop around the armored man’s energy blade and vanish in the heat of the weapon. Then Vader leapt forward and, in a single motion, landed before Beak and bisected the Twilight soldier with a swing of his blade. For a moment, the air smelled like burning fabric and plastic and muscle. Namir was aiming his rifle again when he heard Roja shout an oath. A chrome cylinder just smaller than Namir’s fist arced through the darkness toward Darth Vader: a fragmentation grenade. Namir barely had time to hope before Vader lifted his blade and gestured to one side. Toward Namir. Like an obedient droid, the gre­nade adjusted its trajectory in mid-arc. The events seemed to follow the logic of a nightmare—Vader’s capabilities seemed limited only by their horrific implications. The grenade struck the wall behind the curtain of pipes, two meters down the passageway from Namir. He heard metal shriek and twist beneath the sound of the blast itself, felt something smash into his ribs. A rain of debris fell onto his shoulders and head. His chin was touching the ice of the floor, though he didn’t remember falling. The back of his neck was pleasantly warm with what he realized had to be blood. The rest of the world was darkness and noise. Namir focused on his own body, listened to his heartbeat and began testing his limbs. He didn’t try to stand or move—that was im­possibly beyond him—but he could try to flex muscles, confirm whether he could feel his arms and legs and hands and feet at all. He was relatively sure he hadn’t lost any limbs. Nor had he lost his eyes, but his sight was slow to return. He saw shapes, but they refused to resolve into images he could recognize, as if he were a blind man suddenly cured and learning depth and shape and color for the first time. Some calm, cold part of him reminded Namir that this was normal. He’d been badly hurt before. His vision would return, unless someone killed him first. Five more heartbeats. No one had killed him yet. Someone had killed Roja, though. The first sight he recognized was his colleague’s body on the ice a dozen strides away. Between Namir and Roja were six white-clad legs and two black ones. Stormtroopers, he thought. Stormtroopers and Vader. He tried to scramble upright and felt something heavy shift on top of him. The world seemed to tilt. He wasn’t going anywhere. It was a woman’s voice, in a strange, overly enunciated accent. She was standing a short distance in front of Vader, neck tilted back slightly to meet the masked gaze of the Emperor’s hound. Her hands were clasped together behind her head. Vader no longer held the energy blade. He raised a black-gloved hand, palm out toward Chalis. The governor’s feet left the floor. Her legs were dangling in the air as the nightmare logic once again took effect. Her eyes went wide. Vader’s hand closed into a fist, and Chalis began gasping and clawing at her throat. For the first time, Vader spoke. His voice was metallic and deep and resonant, his breath a rasping hiss underneath the impact of his words. Chalis’s head shook as she stared in bewilderment. Namir repeated the words in his head, baffled. There was a crackling sound like the branch of a green, healthy tree being twisted apart. Chalis kept clawing at her throat, her breathing increasingly ragged. Vader never looked toward the trooper, but he flicked his wrist again and Chalis struck the wall like a discarded toy before slumping to the floor. The stormtroopers responded by advancing down the corridor with their master in the center of a phalanx. Namir closed his eyes and sought refuge from the nightmare. 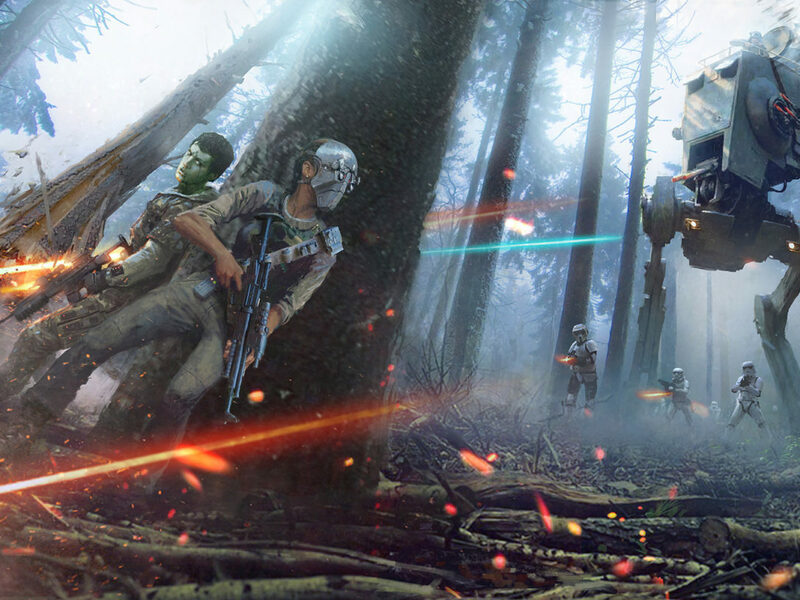 Stay tuned to StarWars.com for more on Star Wars Battlefront: Twilight Company!